The famous Dalmatian blue skies are out in force, the sun bringing warmth and radiance to morning coffee, and the glistening Adriatic is filling with sail boats. While there is plenty to enjoy and discover in terms of nature, activities and heritage in inland Dalmatia, one of the highlights is also undoubtedly the food. 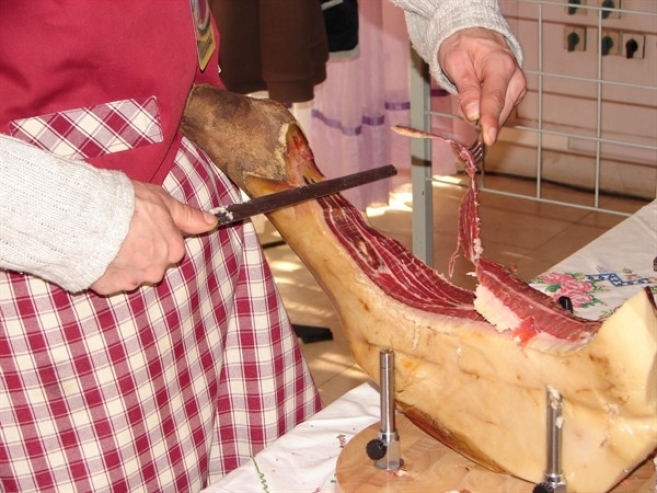 The region is rich in local specialities, fresh vegetables… and dried meat products, of which the most famous is Dalmatian ham, or prsut. Few places produce finer prsut than the town of Sinj, just 30 minutes north of Split, and yet a world away. Why not taste the quality yourself this weekend as some of the region’s best prsut producers will be descending on the town? 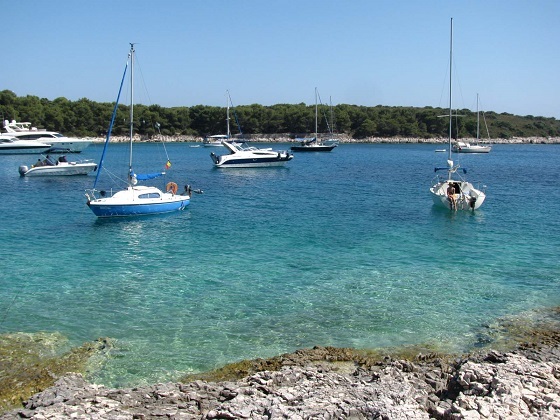 One of the great attractions of a holiday to Central Dalmatia is the inviting Adriatic Sea. With beaches galore and some of the cleanest water in the world, pictures of the Dalmatian coast circulate the globe on Facebook during the winter as people long for their Croatian summer paradise. 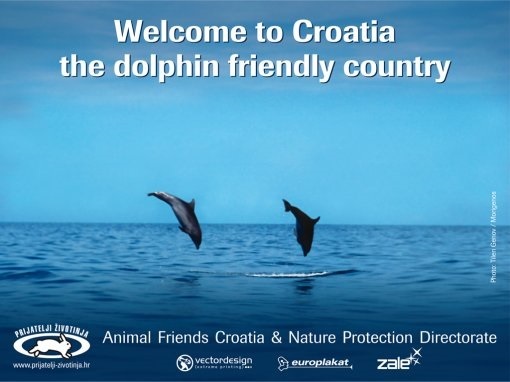 Dalmatia’s clean seas are not just the preserve of visiting tourists, however, and the region has a rich marine life. The increasingly rare Mediterranean monk seal was spotted between Vis and Hvar last year, and one of the delights of a holiday for many is seeing dolphins playing in the sea. Not only is it a relatively common sight (so keep your eyes peeled on those tourist boats…), but the friendly creatures often like to play with boats in the area, swimming and jumping alongside before diving underneath and appearing on the other side. Here is a great example of one such occurrence last week in the Scedro Channel, south of Hvar. For a different and more tranquil scene, early morning is often the time to catch dolphins gently playing in the sea, as in this very tranquil piece of filming off eastern Hvar last year. Split airport lies between Trogir and Split, two popular destinations and often the first port of call for tourists arriving by air. Many new visitors, passing through the relatively modern and industrial area by the airport are unaware of the heritage and rich treasures that await them just outside the airport and on the waterfront. For this is the so-called Kaštela Riviera, a collection of impressive fortresses spread over seven settlements, and one of the lesser visited places outside of Split. There is plenty of heritage and old Dalmatian stone charm, and the hordes have yet to discover the riviera, making it an ideal place to enjoy the tranquility of a quiet Dalmatian holiday by the sea. Originally inhabited during the time of Ancient Salona whose inhabitants built summer palaces there, Kaštel Sućurac is the gateway to the riviera from Split. The most significant palace is the archbishop’s summer residence, which protected the villagers of Putalj. Kaštel Sućurac is also the starting point of a hiking path leading to Vela stina, from the hiker’s home Putalj (480 m) across the path to the Vrata pass situated on the Kozjak ridge and then west to the small church of St. Luke (690 m). Originally known as Kaštel Opatica, the Benedictine nuns from Split built a fortress on the small islet of Gomile, which led to the name change to Kaštel Gomilica. A property gift from King Zvonimir to the Benedictines resulted in the church of church of St. Cosmos and Damian. The fortress is accessed by a wooden bridge, and used to house the population, until villagers started to build their own dwellings around the city walls. Brothers Jerolim and Nikola Cambi built a castle on an islet in 1517 to protect themselves from their enemies and the inhabitants of Lažana and Kruševik, and Kaštel Kambelovac takes its name from the brothers. The only cylindrical fortress on the riviera, it was an effective defence. The property was gradually expanded and the Cambi coat of arms can be found there no a later construction, dated 1589. The largest and most central of the seven settlements, Kaštel Lukšić was the boundary between Split and Trogir properties and takes its name from a property of the same name. It was previously called Kaštel Vitturi after the noble family who constructed it in the latter part of the 15th Century. Brothers Nikola and Jerolim Vetturi was granted permission in 1487 by Trogir Count Carlo Pesaro to build a fortification with towers and trenches by the sea. The oldest of the settlements is Kaštel Stari (‘stari’ means old in Croatian). It is a fertile place, rich in vineyards and olive groves, figs and cherries, with a particular micro-environment which makes it conducive to Mediterranean herbs. Kaštel Novi (‘novi’ means new in Croatian) dates back to an order to construct in 1512 by Pavo Antun Ćipiko, a fortification around which the village later developed and expanded. It is a pretty place with great sporting facilities. The final settlement on the riviera is Kaštel Štafilić, whose fortifications date back to 1508 and the construction ordered by Stjepan Štafileo of a fortress with courtyard overlooking a cliff – known today as Rotondo Castle. The village gradually expanded around its fortification, and is full of symbols or Christian culture and churches. 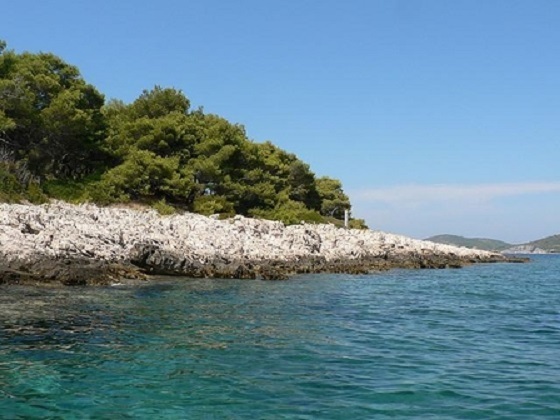 The Pakleni Islands, the emerald jewels opposite Hvar Town, are a major attraction for sailors, beach and nature lovers. Often mistakenly called Hell’s Islands, the name Pakleni is taking from a type of resin used in ship building. While they may all look fairly similar from the air, there is incredible diversity – a quick overview of the most interesting islands. The largest of the Pakleni Islands, and also one of its most interesting. Looking for a sandy beach? Head for Perna, next to Palmizana, which is one of the most popular destinations on Hvar. It is also one of the most fascinating, and home to tourism since 1906, five years before the first hotel opened in Jelsa, for example. Leading the way is the Meneghello estate, tourism pioneers, who continue with their innovative ways, housing an art gallery and arboretum, in addition to their quality accommodation and two restaurants – Toto’s and Meneghello. Next door and one of Dalmatia’s premier restaurants is Zori, discreet destination for the rich and famous, and popular wedding reception destination, while the impressive olive trees at Bacchus offer ample shade and a more earthy dining experience. 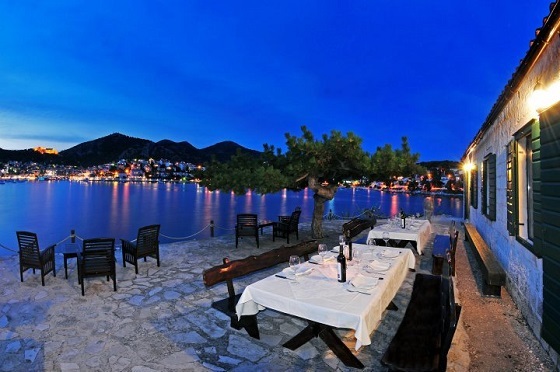 Making up the exclusive waterfront is Laganini, as chilled a cocktail bar on the Adriatic as you will find. To reach Palmizana, either sail into the bay directly, or else moor up (or take water taxi) to the ACI marina on the northern shore, and make the short journey through the natural forest – there are plenty of signs. Much less visited – but equally fascinating – is Vlaka, a small settlement on Sveti Klement’s northern shore. Here you will find the vineyards of Andro Tomic, just 1m above sea level, whose wines bear the name of the island, the excellent Dionis restaurant, and the remains of a Roman settlement and mud bath. Known better by the name of its most famous bay, Stipanska, Marinkovac is one of the Pakleni’s more visited islands. 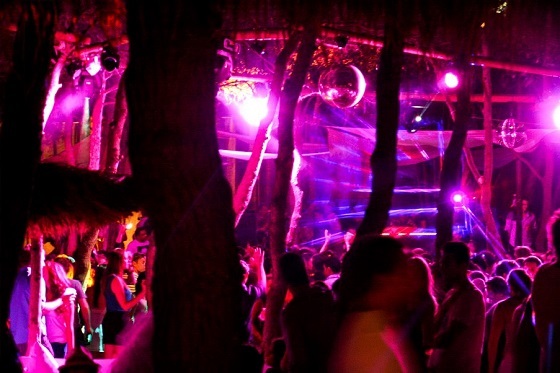 Stipanska is the home to Carpe Diem Beach, the Full Moon party and some of the hottest nightlife on the Adriatic, but also one of the great chill out zones by day, with 5-star service. Interspersed between the two is Dinner Nights, a new exclusive 7-course dining experience from 21:30 on selected evenings. Across Marinkovac, and a world away, are the delightful bays of Zdrilca and Mlini, both serviced by regular water taxi, and home to two excellent restaurants – Patak and Tri Grede. Regular water taxis leave from the Hvar waterfront to all three destinations. 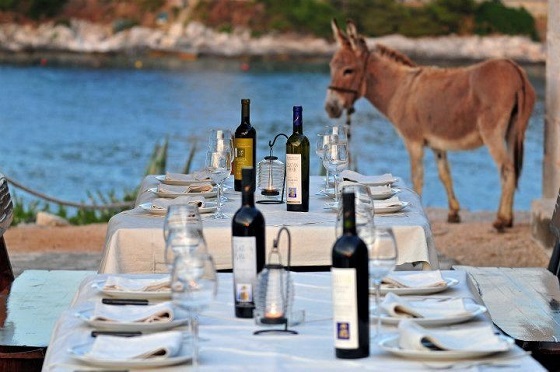 Named as CNN’s top naturist beach in the world in 2011, Jerolim is one of the most liberal islands in Dalmatia. The crowds head for Amo beach facing the town, where there is a bar, restaurant and sunbeds for hire, but walk 30m through the woods to the other side of the island to Kordovon bay and Mare’s place, one of the most chilled places in Dalmatia – a combination of FKK, gay and clothed sunbathers, where everything is organic, and almost anything goes. The oldest building is on the nearest island, Galesnik, built originally as a quarantine station by the Franciscans, whose monastery is close by on the mainland. The Venetians built a jetty before the Austrians built an artillery fort.